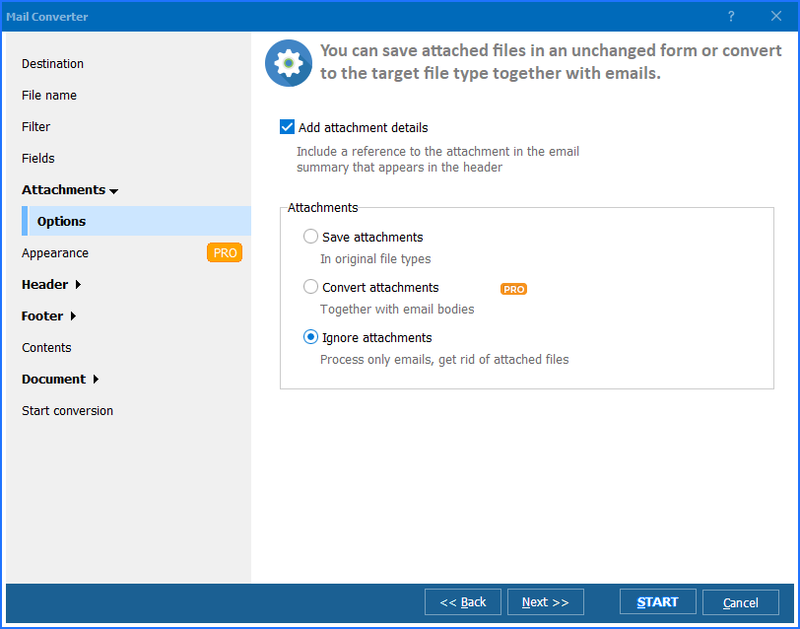 Long-time users of Outlook Express or Thunderbird will be more than aware of the truly impressive overall flexibility and power of the applications. They both make excellent all-purpose tools for churning through the grind of day-to-day office work. And while both programs share support for the EML message extension, they also share one major drawback when it comes to extracting useful information in bulk from such files: a straightforward EML to Excel create a report option. 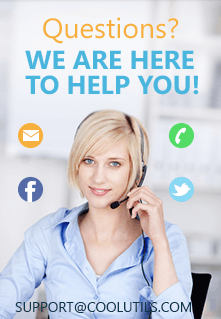 There's any number of reasons why you might find yourself needing to do this on a weekly, monthly or quarterly basis. You might simply be looking to analyse your own email usage or pull out actionable data about what your team is spending their time on. With the amount of potentially crucial business data contained in the average email account, it's only a matter of time before you find yourself needing to look at some of it in aggregate. And if you find yourself needing to make a summary report about EML files you could be looking at a long trip into a maze of online help forums trying to track down an efficient way of doing it in bulk. A task nobody relishes. Well worry no more. 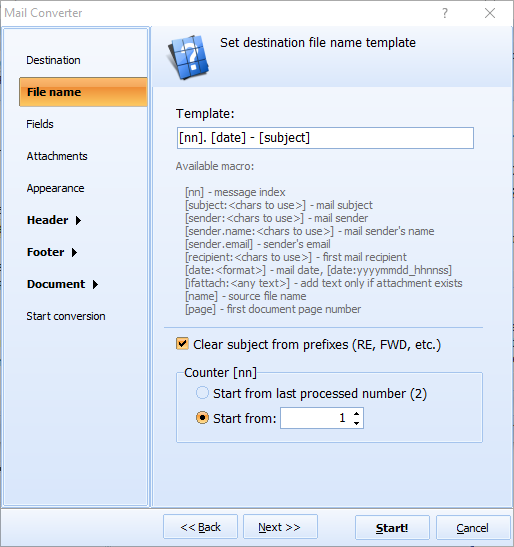 Our Total Mail Converter software handles this very task with ease. With just a few clicks, you'll be able to generate a truly useful email report in Excel to match your exact requirements. Customization is a cinch as well. You have the ability to add and delete your own custom columns for any report to drill down to the precise set of data you're after. You're not limited to preparing data just for Excel either. Our full range of export options includes PDF, CSV, TXT and HTML formats so you're covered regardless of what the export use case is. The creation of reports is exactly the sort of potentially irksome recurring office task that you should be looking to automate as much as possible to free up your time for more high value work. 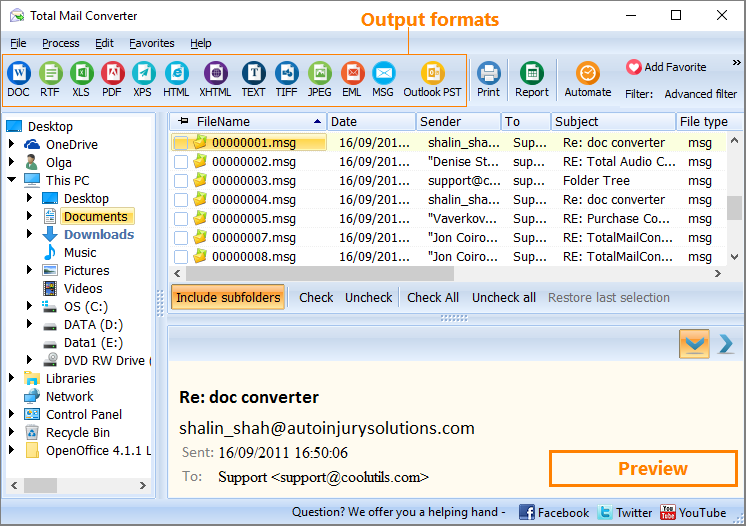 Total Mail Converter puts this power at your fingertips. Make this the month you start organising your monthly task schedule and removing potentially hours of unneccessary admin work off your plate by downloading a free trial of Total Mail Converter. You won't be disappointed you did!